As part of the public awareness campaign on “Love and forgiveness in government” We would like to invite you for a movie screening and discussion around forgiveness and reconciliation. 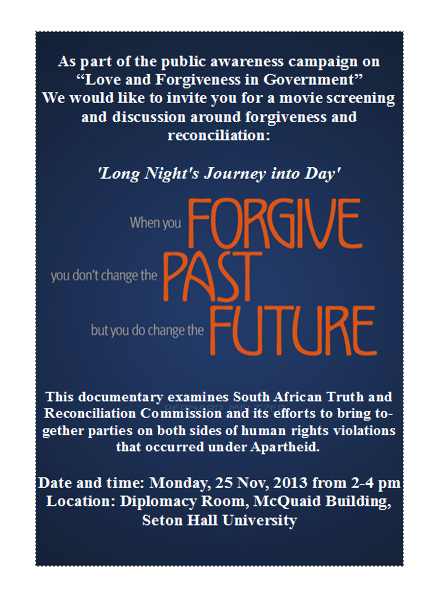 This documentary examines South African Truth and Reconciliation Commission and its efforts to bring together parties on both sides of human rights violations that occurred under Apartheid. For more information please contact Borislava Manojlovic.